Beer-drinking music lovers can feel proud – every drop they produce in the toilets of the Heineken Music Hall will be turned into fertiliser, according to the Parool. The hall, which will be known as AFAS Live from 2017, will collect all urine from male concert-goers in a large tank and transport it to Amstel water board’s treatment plant in Amsterdam’s western harbour area. There it will be turned into a phosphate-rich kind of fertiliser. According to the Parool, three full tanks containing a total of almost 40,000 litres of urine are enough to fertilise a football field. An average of 3,000 men visit the gents during each musical event, and they are being targeted because they don’t need to flush or use toilet paper – which could block up the tank. 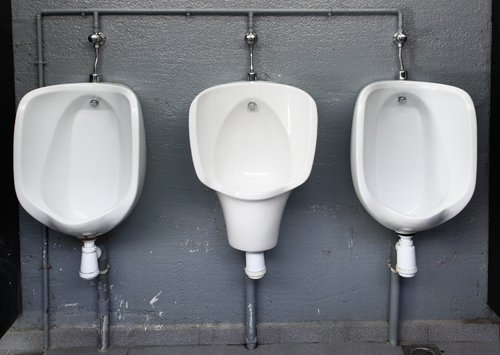 Amsterdam has already experimented with collecting urine on King’s day, setting up three special toilets targeting men. An effort at the Sail festival disappointed, with only 5,000 litres collected instead of the hoped-for 100,000 litres. But Afas Live organisers believe beer and music will be more productive, after 4,125 litres of urine were collected at a Status Quo concert on 2nd December. Beer is a famous diuretic, not just because of the quantities drunk but also because of the intrinsic qualities of alcohol. According to the UK government site, drinkaware.co.uk, every gram of alcohol drunk increases urine excretion by 10ml.